Occasionally, you may find that your air compressor isn’t operating as it should. Like any mechanical unit, an air compressor is subject to wear and tear that may result in minor performance hiccups. By addressing these promptly, you can keep them from becoming bigger problems later. 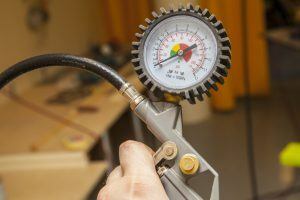 Here’s how you can troubleshoot three of the most common issues found among air compressors. If your unit suddenly experiences a decrease in pressure, you’ll need to have it serviced right away to prevent any loss in productivity. Examine your air lines and connections for leaks and repair them as needed. If you can’t find a leak or don’t feel comfortable fixing it yourself, call in a service technician for an inspection. Hot compressed air is a sure sign that your unit is working too hard. You should do a maintenance check to ensure it has enough oil and other lubricants. Also, inspect your oil filters for clogs and replace as necessary. Proper maintenance is key to keeping your air compressor running optimally. If you’ve noticed your air compressor is much louder than usual, it could be caused by loose parts. Tighten all its connections, also including the mounting. Replace any connections that have become worn or broken. If this doesn’t result in a quieter system, have a professional take a look to rule out a larger problem. For more troubleshooting tips, contact NB Sales & Service of Bakersfield. We work with many manufacturers and can handle all of your air compressor repair and maintenance needs.